Perhaps you saw in the news on March 24th that 61-year-old daredevil/limo driver “Mad” Mike Hughes took a ride in his homemade, steam-powered rocket above the Mojave Desert. Maxing out at a height of 1,875 feet (572 meters) and landed just 1,500 feet (460 meters) from his launch site. Parachutes slowed his descent back to terra firma, but the landing was a bit rough. While he did survive, he celebrated his successful flight while strapped to a stretcher in the back of an ambulance. The one detail that many of the news stories had skipped was the real reason that Hughes was doing this. He set out to prove that the Earth was flat. While it has been known since the time of the Ancient Greeks that the Earth was spherical, Hughes was determined to prove that this was wrong. He, along with a number of other believers around the world, are certain that the Earth is a flat disk. Please welcome to the podcast my colleague Justin Forrest. Justin is an Earth Science teacher at Chatham High School and the two of us co-teach one of those classes together. Each year we have to convince students that the Earth is nearly spherical – an oblate spheroid to be more precise – and the kids are expected to be able to have an understanding of the various pieces of evidence that prove that this is true. I thought that it would be fun if the two of us did a 1970’s 60-minutes Point-Counterpoint style debate on the topic, which is best remembered today for the parody of the segment that was done on the original Saturday Night Live between Jane Curtin and Dan Aykroyd. Justin will take the part of a spherical Earth believer and I will prove to you that the Earth is flat. Justin Forrest: So, the first piece of evidence is during a lunar eclipse the shadow of the Earth has a curve, it creates a curved shadow on the moon. Steve Silverman: Justin, you ignorant geek. Come on. You can take a paper plate and shine a flashlight behind it and I can make a curved shadow on something. It doesn’t prove anything. Justin Forrest: The second piece of evidence is ships going over the horizon. As they go over the horizon, the last thing you see is the tops of their masts. Steve Silverman: Justin, you need to drop your membership in that cult you call science. You probably don’t know about the Bedford Level Experiment that was done by Samuel Birley Rowbotham in 1838. He had someone row a boat six miles along a canal and he had a telescope that was 8-inches or 2-centimeters above the canal. The whole time that the boat rowed down the canal it stayed visible the entire time. 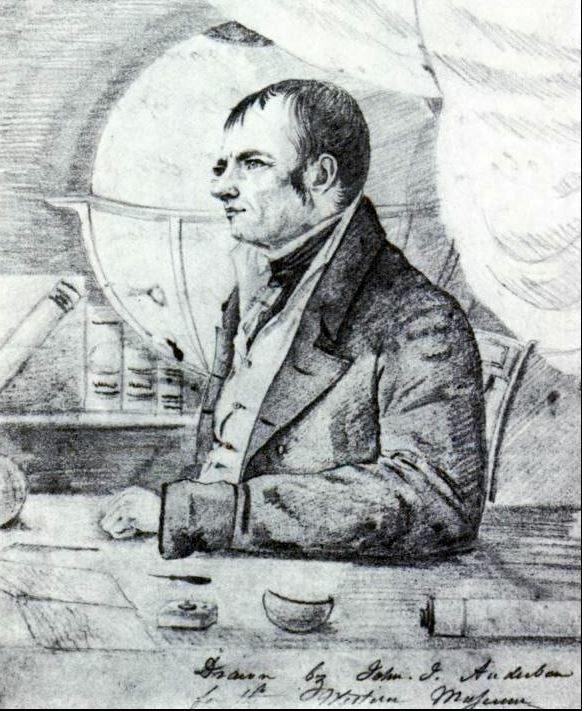 Sketch of the Bedford Level Experiment performed by Samuel Birley Rowbotham in 1838. From the book Earth Not a Globe by "Parallax," which was published in 1865. Justin Forrest: The third piece of evidence is if you go to a higher position. At a higher elevation you can see further. 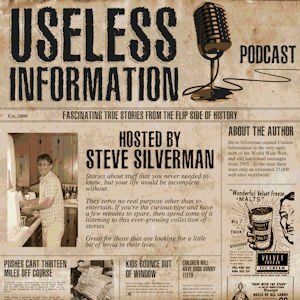 Steve Silverman: Justin, are you blind? I just have to go up on a mountain and look out. Clearly I can see further. It has nothing to do with the Earth being round. Justin Forrest: The fourth piece of evidence is the other planets, the moon. They are all spherical. Steve Silverman: Justin, I think those neurons in your brain have stopped firing. I mean, come on! Look at it. You can look at the moon and it looks perfectly flat. Look at any planet and it looks flat. Clearly, the Earth is flat. Justin Forrest: My final argument is that we have been to space. We have pictures. Telescopes. We can see pictures of the Earth and its spherical. Steve Silverman: Justin, you’re just a Bill Nye the Science Guy wannabe. You really need to start thinking for yourself. Just look at any picture and its perfectly flat. Have you ever heard of Photoshop? Clearly those images are made up. Of course, the two of us are just joking around a bit here. We could have easily provided many more arguments both for and against, but there absolutely no doubt in my mind that the Earth is a slightly flattened sphere. Yet, there will always be doubters, no matter how much proof they are presented with. Which leads to today’s story, which also involves bogus science. It’s one that I briefly talked about way back in April 2008 in podcast episode #13 on Henrietta Swan Leavitt. 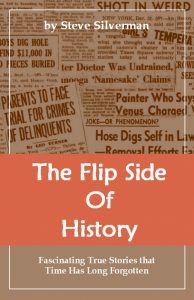 That particular episode is quite significant in my mind because it was the first story that I had researched and written specifically for the podcast. Prior to that I had been retelling stories from the books that I had previously written. Imagine, if you will, a blue planet that lies third away from the bright star that it orbits. This planet has everything needed to support life. It is neither too hot or too cold, has plenty of liquid water, and an atmosphere to shelter organisms from the worst of that star’s radiant energy. If this sounds a bit like Earth, you are correct. That is the planet that I am referring to. A voyage sets sail in the early 1800’s through the Bering Strait to explore the unchartered territory of the North Pole. After passing through a brutal, ice covered region, the ship would start to gradually descend at a nearly imperceptible rate until it reached the inside of the Earth. There, the crew would find an interior world that was gently bathed in reflected light from the world above. Abundant riches would be discovered and the crew of the ship would be the first humans to make contact with the leaders of this underworld paradise. Sounds like something out of science fiction, doesn’t it? In fact, a number of science fiction stories were based on this concept – the most famous being Jules Verne’s Journey to the Center of the Earth from 1864 – yet this was a real pseudo-scientific theory that the United States Congress considered funding in the 1820’s. No one can say with certainty as to where the theory of a hollow Earth originated. It’s an idea that has been part of folklore and religion since the earliest of times. Yet, perhaps the best place to begin is with Sir Edmund Halley, the guy who had correctly calculated that the comet that bears his name today would reappear every 76 years or so. In 1676, Halley went to the remote island of St. Helena in the south Atlantic Ocean to set up an observatory to study the stars of the southern hemisphere. While on this journey, he became puzzled with the fact that magnetic compass readings varied quite a bit. Halley theorized that these inconsistencies could be explained by revisiting the ancient concept of a hollow Earth. He proposed that the Earth was made of three inner spheres, each with its own magnetic field and spinning at a different speed. In order for these inner spheres to spin independently, he suggested that some sort of an atmosphere must exist between each of these layers. What evidence did Halley have for these interior worlds? Absolutely none, other than it being a possible way to explain the varying magnetism of the Earth. Keep in mind that while there was no evidence supporting his theory at the time, there was nearly as little opposing it. Halley’s theory of a hollow Earth is armchair science at its best. Halley may have been the one who brought the hollow Earth theory into the scientific thinking of his day, but there was no one who did more to advance the theory forward than a man named John Cleves Symmes II. Born on November 5, 1780 to Mercy and Thomas Symmes in Sussex County, New Jersey, he was named after his uncle who was a delegate from New Jersey to the Continental Congress and later a judge and pioneer of the Northwest Territory. 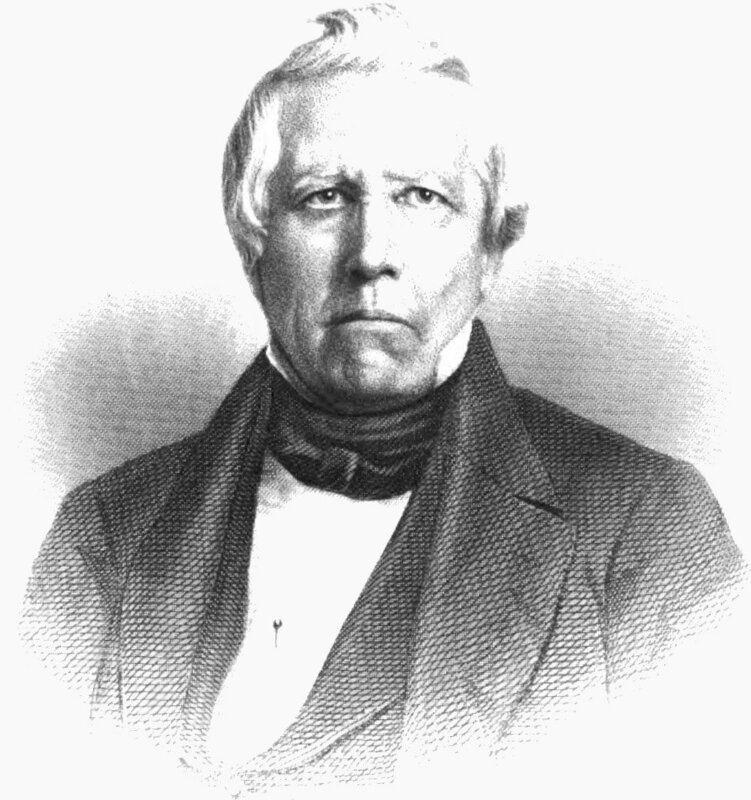 The elder Symmes was a prominent man who was father-in-law to President William Henry Harrison’s and great-grandfather to President Benjamin Harrison. 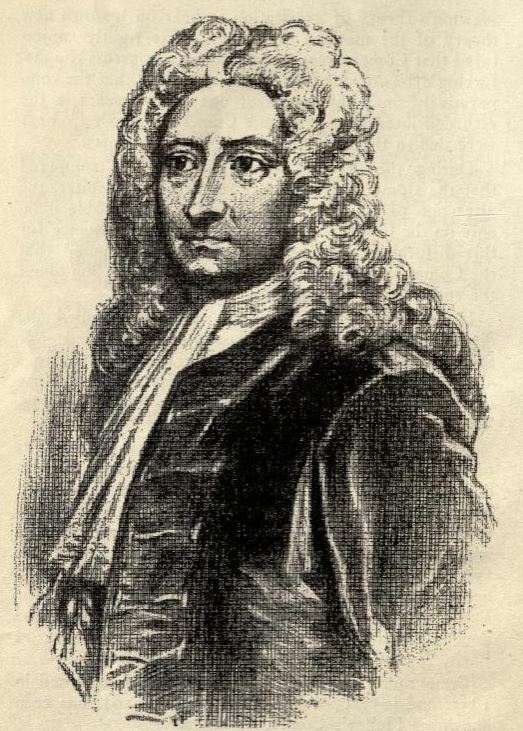 1820 sketch of John Cleves Symmes II by John J. Audubon. Image from Wikipedia. The younger Symmes received a common school education and joined the US Army on April 2, 1804 as a low ranked commissioned officer. After moving up through its ranks, he was ultimately promoted to captain on January 20, 1812. He remained in the military throughout the war of 1812, becoming a minor hero during the Battle of Niagara before retiring in 1816. After leaving the army, Symmes took up residence in St. Louis, which was undergoing a post-war surge in population. Under government license, Symmes supplied goods to both troops and native Americans. Eight years earlier, on Christmas day of 1808, he married Mrs. Mary Anne Lockwood, the widow of Captain Benjamin Lockwood. At the time of their union, she was the mother of five daughters and one son. The couple would produce five more children, including daughters Louisiana and Elizabeth, and sons Americus Vespucius, John Cleves, and William Henry Harrison Symmes. 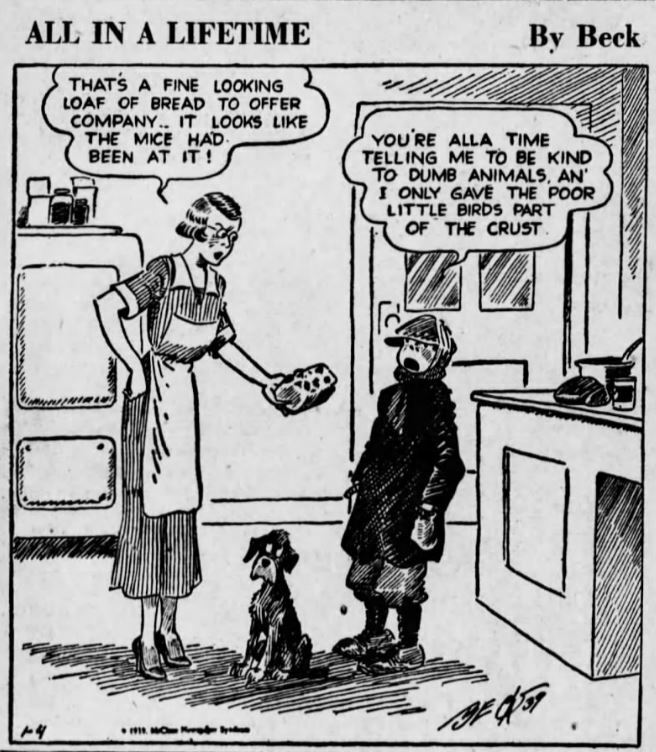 It wasn’t very long before Symmes lost interest in both his business and his ever-expanding family. His true passion turned out to be the study of science. He became an avid reader and slowly morphed all of the evidence that he had gathered into a clear theory of how the Earth was structured. John Cleves Symmes' Circular No. 1 that was published in 1818. Image from Wikipedia. Attached to the publication was a certificate attesting to his sanity, which did little to convince others. After two years of unsuccessfully trying to promote his theory, he needed to find a different avenue to do so. He turned to the lecture circuit. Symmes gave first lecture in 1820 before a large audience in Cincinnati. He was an awful orator. His talks were supposedly poorly organized and difficult to follow. Symmes supposedly spoke in a dry, nasal tone, yet the uniqueness of his topic coupled with his great enthusiasm for the subject made him popular on the lecture circuit. While he was ridiculed in the press, Symmes soon gained a large number of followers throughout the Midwest and the South. Bad Science Point #1 – Symmes stated that Newton was completely wrong about gravity. Newton claimed that every object in the universe was attracted to every other object by the pulling force of gravity. I’m attracted to you and you are equally attracted to me (equal and opposite), but our masses are far too small for us to notice that tiny, tiny pull. 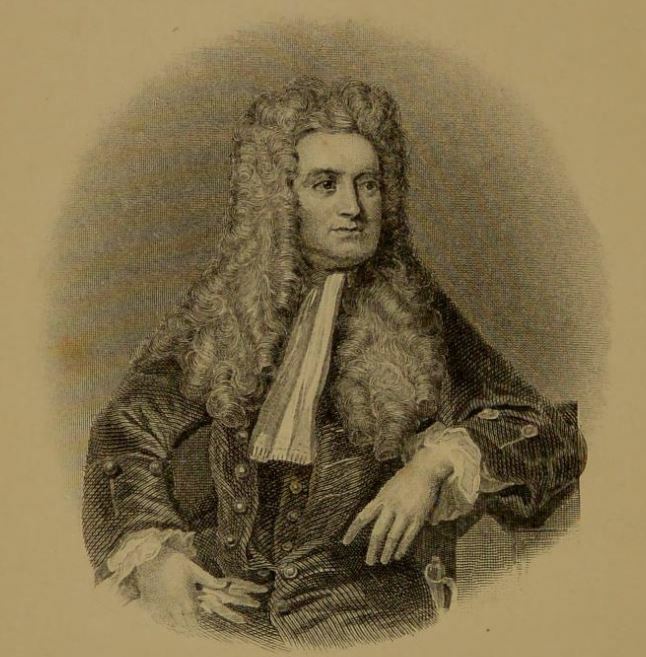 Image of Sir Isaac Newton from the book The Life of Sir Isaac Newton by Sir David Brewster. Symmes took the opposite approach: gravity must be a pushing force. That’s because the entire universe was theorized by leading scientists of the day to be filled with a gas known as aether – tiny invisible spheres that filled space – which provided the medium for light to travel through space. According to Symmes, it was the elasticity of these aether particles that held the universe together. Think of it like a bunch of invisible rubber balls. As you stand in the spot that are in right now, you are deforming those microscopic rubber aether balls and they are pushing you against the Earth. All one needs to do is to look out into space to confirm that this is true: If gravity was a pulling force, then the whole universe should collapse in on itself. It’s only logical, at the least according to the theory put forward by Symmes, that it’s a pushing force that keeps everything in its place. Bad Science Point #2 – Symmes stated, “a nebular mass in rotation, as our earth during its formation, will not assume the form of a solid sphere, but rather a hollow one.” He felt that as the primitive cloud of dust and gas that formed our planet spun round and round, centrifugal force would naturally throw all material outward and produce hollow spheres. (As hard as it is to believe for many, some of my students included, what we perceive as centrifugal force is really an imagined force that doesn’t exist.) Symmes argued that nature was an economist when it came to matter. If the stalks of plants, the shafts of feathers, and bones are hollow, then it only makes sense that planets should be hollow also. Bad Science Point #3 – Symmes agreed with Halley that there had to be large holes at the North and South poles of the Earth. He estimated that the North hole was about 4,000 miles (6400-km) in diameter and the hole at the South Pole was larger at 6,000 miles (9700-km). As previously mentioned, the holes were tilted at an angle of 12-degrees to the equator, which would make one side of the hole much closer to the pole than the other. Just how he came up with these numbers is anyone’s guess. The curvature of each rim would be so gradual that it would “not be apparent to the voyager, who might pass from the outer side of the earth over a rim and down the inner side a great distance before becoming aware of the fact at all.” In other words, you wouldn’t tumble off the edge and fall into the Earth’s interior. He added that an aerial fluid would gently push against the explorer’s ships and safely bring them down to the land or water surface below. Once passing through the 1,000 mile (1600-km) thick crust, there would be a total of five interior spheres. Think of it like a matryoshka doll – one of those Russian Nesting Dolls. 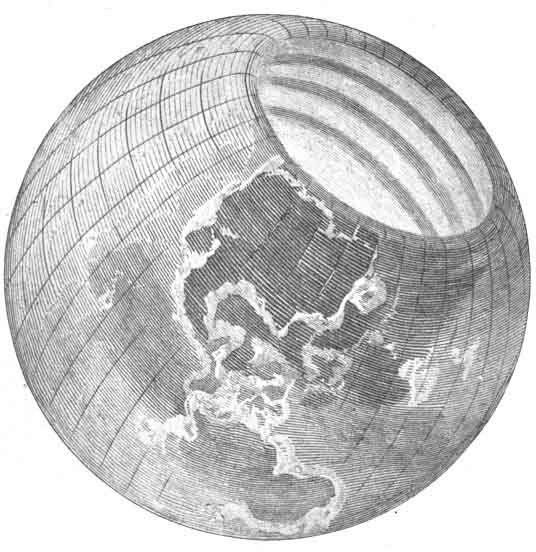 Sketch of the hollow Earth model from the 1878 book The Symmes Theory of Concentric Spheres, compiled by Americus Symmes. It would be through these holes that light from the Sun would enter the interior of the Earth to be reflected off of both the interior roof and the ground beneath. That would bathe the interior with a soft, subdued light. Symmes calculated that light could reach as far 18-degrees from the equator on the high side of the north opening and 10-½-degrees from the southern opening. The region around the equator would be forever in a perpetual state of twilight. Bad Science Point #5 – Even today it is difficult to explore the Arctic and Antarctic regions of Earth. The temperatures are just too extreme and ice seems just about everywhere. Symmes disagreed. His theory explained that what was perceived by explorers to be an impenetrable wall of ice was really the rim of the openings at the poles. All one needed to do was sail beyond the frozen wasteland and enter the tropical world below. According to Symmes, there was ample evidence that this underworld really did exist. All one needed to do was look at that vast number of animals, such as whales, reindeer, seals and polar bears, all of whom migrate toward the poles each winter and somehow come back each spring sleek and fattened up. That could only happen in a world which was warm, lush, and provided ample food. So that’s the bulk of Symmes concentric sphere theory. 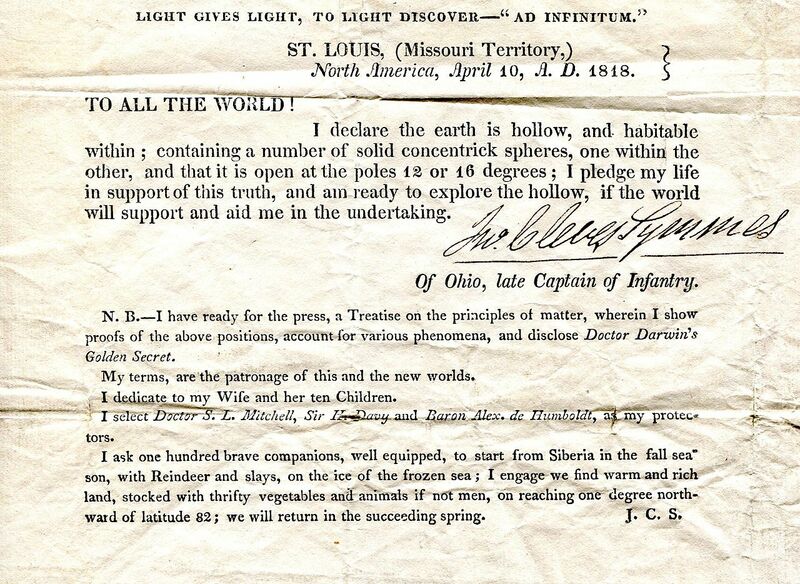 In 1819 Symmes moved his family to Newport, Kentucky and began to gather his first hollow Earth disciples. Having a theory, no matter how far fetched it may be is fine, but ultimately science must prove or disprove each one. Lacking the resources to fund an expedition to the North Pole himself, Symmes turned to the United States government for help. 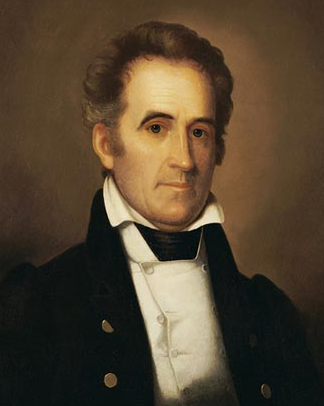 One can’t simply walk into Congress and ask for money directly, so he convinced Kentucky Senator Richard M. Johnson, who would later serve as Vice President under Martin van Buren, to do so for him. Vice President Richard Mentor Johnson from Kentucky. Image can be found on Wikipedia. On March 7, 1822, Johnson asked the Senate “to equip and fit for the expedition two vessels of two hundred and fifty or three hundred tons’ burden.” The motion was tabled, but Symmes was not deterred. He spent the next ten months gathering public support and then used his base to convince Johnson to try again. Just like being the first to the Moon, Johnson suggested that being the first to interior of the Earth would bring the United States great prestige on the world stage. Since there was a potential for establishing trade with the inhabitants of interior, it made sense to assign the petition to the Committee on Commerce. The idea was once again tabled. Symmes refused to give up and soon Congress was swamped with new petitions in support of a voyage to the Earth’s interior. Finally, in December 1823, the financing of Symmes’ expedition was put up for a vote. Amazingly, 46 of our elected officials voted in favor of funding the voyage. 56 were opposed. Close, but no cigar. In 1824, Symmes moved to Hamilton, Ohio to live on a parcel of land that his namesake uncle had willed to him. It was here that he also gained a wealthy disciple named James McBride. Symmes may have written quite a bit promoting his theory, but it was McBride who assembled it all into one cohesive volume with the publication Symmes’ Theory of Concentric Spheres. Copies of the book are readily available on the Internet and I encourage you to take a quick glance at it. Image of James McBride from Wikipedia. In 1827, Symmes learned that Russia was planning a trip to northeastern Siberia. He wrote to Count Romanoff, who at the time was the chancellor of Russia under Czar Alexander, and offered up his services. Russia had been more receptive to his hollow Earth theory and accepted his offer. Symmes had finally found his passage into the Earth, but one minor detail prevented him from making his dream voyage a reality – he didn’t have the money to pay his fare from the United States to St. Petersburg. Yet, just the simple fact that Russia accepted him was enough to significantly boost his legitimacy back home. Later that year, Symmes fell ill with severe stomach problems and was taken to New Jersey to be cared for by friends and relatives. Once he was well enough, he made the trip back to his family in Ohio in February 1829. He died a few months later on May 29, 1829 at the age of 49. During his final years, donations and the fees he collected from his lectures helped to pay the cost of him being on the road, but little more. At the time of his death, he was basically insolvent. His wife Marianne was able to support her family by renting out the farmland that she had inherited from both of her husbands, but it was tough. So, was Symmes a crackpot or a genius? Let’s just say that history has not been kind to him. There is no doubt that Symmes was an intelligent man who excelled at gathering and synthesizing information. And while his ideas proved to be wildly wrong, he does deserve credit for making the public aware of the need for polar exploration. The theory of a hollow earth did not die with John Cleves Symmes. Even though he had left his family destitute, his son Americus never wavered in championing his father’s theory of concentric spheres. 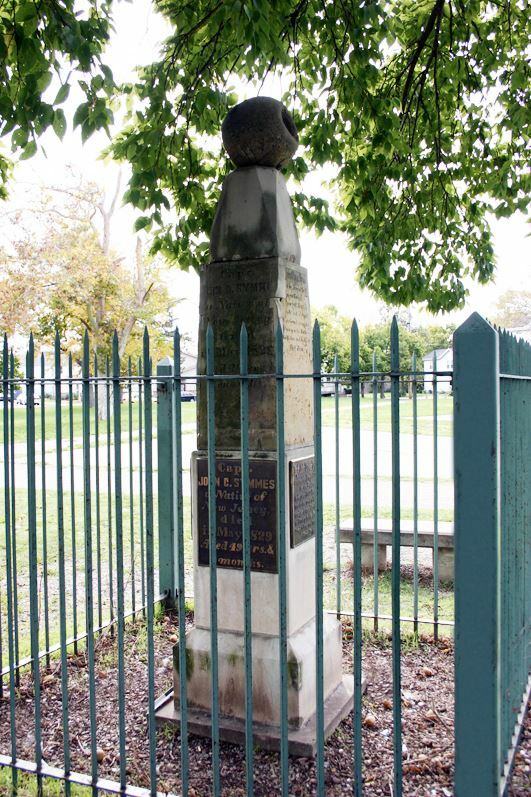 In his honor, Americus had a stone memorial constructed in Hamilton, which still stands today. It is topped with – you guessed it – a globe that is hollow at its poles. Photo of the John Cleves Symmes Hollow Earth Monument in Hamilton, Ohio. Image from Wikipedia. Today, mankind has reached both poles. Pilots have flown their airplanes over them. Satellites view the poles from above. Not a single person has observed an opening at either end. Seismologists have used earthquake data to study the interior of the Earth and have long determined that there are no interior worlds. Yet, just like those that still believe that the Earth is flat, there are those that are still preaching that the Earth is hollow.